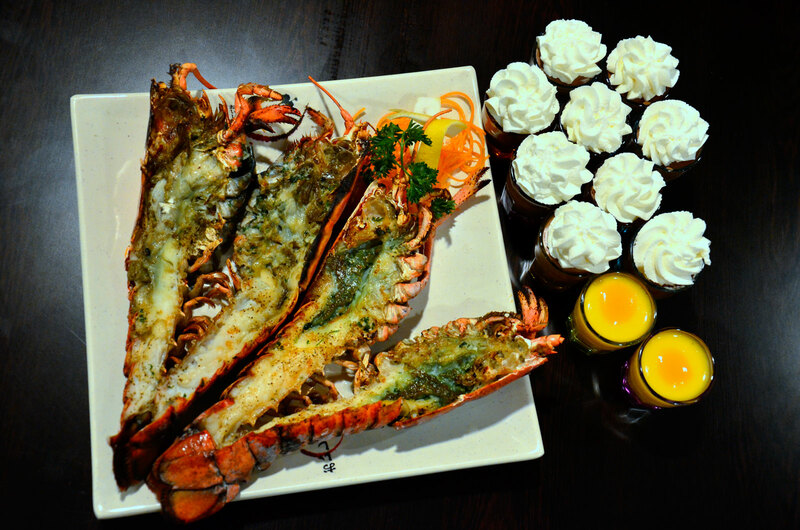 They are delicate, flavorful and attractive food to stimulate the appetite, in anticipation of the meal to come. Deep-fried tofu served with tempura sauce. One order comes with 4 pcs. Fresh squid grilled with ginger sauce. Pan fried mushroom with garlic butter. Mushroom dipped in tempura batter and deep-fried. Chicken balls are a food consisting of small, spherical or nearly spherical pieces of chicken. One order comes with 8 pcs. Grilled mackerel with our flavorful sauce. Chicken skewers with teriyaki sauce. Japanese style deep fried squid tentacle. Sliced raw salmon, chili pepper with ponzu sauce. Sliced raw beef, green onions & ponzu sauce. Sliced raw tuna with chili pepper, green onions & ponzu sauce. Pan fried scallop with garlic butter. Pan fried shrimp and mix vegetable with garlic butter. Pan friend shrimp with thousand island sauce. Our delicious beef ribs with amazing flavor. Japanese dumpling filled with pork and vegetable. Asparagus wrapped in bacon and baked. 2 pieces of shrimps with 5 pieces of vegetables. Grilled salmon belly with teriyaki sauce. Fresh tofu with ginger sauce and green onions. Hot rice with seasoning and rice vinegar. Shrimp dipped in tempura batter and deep-fried. Japanese style soup to open your appetite for the coming meal. Simple and savory authentic Japanese soup with tofu inside. Mixed vegetables with your choice of style. Marinated with sesame oil and spices. Green salads are considered a common diet food. Crab, salmon, tobilo & octopus. Consisting of cooked vinegared rice combined with other ingredients, seafood, vegetables and sometimes tropical fruits. One order comes with 2 pieces. Egg sashimi. One order comes 2 pcs. Beautiful roses made from fresh salmon. One order comes with 2 pcs. Sushi stuffed in inari pockets. Sushi with avocado slices on top. 1 sushi piece each of Tuna, salmon, hokkigai, ebi and kani. 6 pieces salmon maki, salmon skin hand roll. Includes miso soup & salad. 1 sushi piece each of tuna, salmon, tai, kani, ebi, tako, hokkigai, 6 pieces california maki & salmon hand roll. Includes miso soup & salad. 1 sushi piece each of tuna, salmon, tai, kani, ebi, tako, unagi, saba, 6 pieces dynamite california hand roll. Includes miso soup & salad. Tuna, salmon, cucumber & california hand roll. Includes miso soup & salad. 6 pieces each of california maki, tuna maki & salmon maki. Includes miso soup & salad. 6 pieces each of california maki, spicy salmon maki & unagi maki. Includes miso soup & salad. 6 pieces each of dynamite maki, california maki, volcano maki. Includes miso soup & salad. 3 pieces each of cucumber, pickled radish, avocado, egg roll, and 6 pieces of yam tempura maki. Includes miso soup & salad. Sushi 2 pieces, egg, avocado, inari, and 6 pieces of avocado & cucumber maki. 1 piece each of tuna, octopus, clam, flying fish egg, and 6 pieces of California maki. 1 piece each of tuna, shrimp, salmon, tai, and 6 pieces of California maki. 1 piece each of octopus, shrimp, crab, egg, and 6 pieces of California maki. 2 pieces each of salmon, tai, and 6 pieces of California maki. 6 Pieces salmon sashimi, 4 pcs salmon sushi, 6 pcs salmon maki. Includes miso soup & salad. 14 pieces of assorted sashimi on a bed of sushi rice. Includes miso soup & salad. 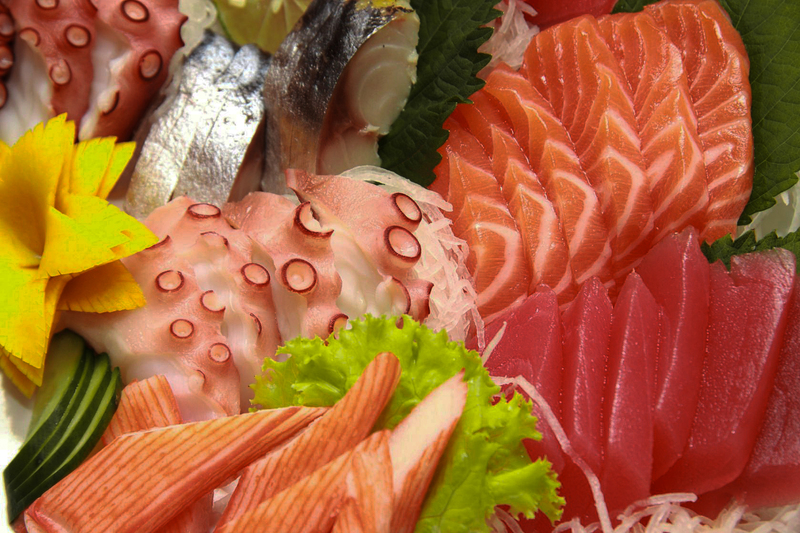 Japanese delicacy consisting of very fresh raw meat or fish sliced into thin pieces. One order comes with 4 pieces. Egg sashimi. One order comes with 4 pcs. Includes miso soup, salad & rice. 3 pieces each of tuna, salmon, tai & hokkigai. Includes miso soup, salad and rice. 3 pieces each of tuna, salmon, tai, hokkigai, ama ebi & tako. Includes miso soup, salad and rice. 3 pieces each of tuna, salmon, tai, hamachi, tako, hokkigai, amaebi & hotategai. Includes miso soup, salad and rice. 2 pieces each of tuna, salmon, butterfish, and hokkigai sashimi. 2 pieces each of ebi sushi, crab sushi, and 6 pieces salmon maki. Includes miso soup, salad and rice. A large cone-shaped piece of nori on the outside and the ingredients spilling out the wide end. Shrimp, cucumber, avocado & tobiko. Spicy sauce, salmon & tempura bits. Spicy sauce, tuna & tempura bits. Deep fried butterfish with cucmber, and mayo on top. Spicy sauce, crab & tempura bits. Eel, avocado & cucumber roll. Egg, cucumber, crab and oshinko, inari. Cucumber, avocado, crab & tobiko. Deep fried salmon skin with cucmber. Maki sushi is when the rice and fish and/or vegetables are rolled up in a seaweed wrapper. Eel, avocado & cucmber roll. Egg, cucmber, crab & oshinko, inari. Beef, salmon or chicken Teriyaki Roll. 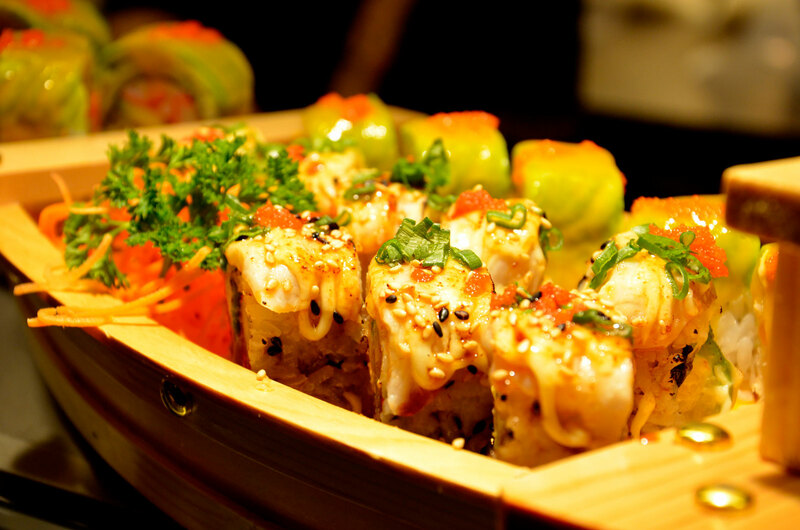 Avocado roll with delicious scallop on it. Cream cheese, smoked salmon, and cucumber. Spicy sauce, avocado & tempura bits. 6 pieces of Avocado Roll, Inari Roll, California Roll, Spicy Salmon Roll, Cucumber Roll, Yam Roll, and 8 pieces of Dynamite Roll. 6 pieces of Avocado Roll, Salmon Avocado Roll, California Roll, Cucumber Roll, Crab Roll. 8 pieces of Dynamite Roll, Volcano Roll, Sushi Gen Roll and 4 Pieces of Futo Maki Roll. Food combinations at best prices. 16 pieces of nigri sushi, and 18 pieces of maki sushi. 18 pieces of nigri sushi, and 52 pieces of maki sushi. 28 pieces of nigri sushi, and 80 pieces of maki sushi. 44 pieces of nigri sushi, and 104 pieces of maki sushi. Combo with a good price. 14 pieces of sashimi, 8 pieces of nigri sushi, and 12 pieces of maki sushi. 28 pieces of sashimi, 14 pieces of nigri sushi, and 28 pieces of maki sushi. 42 pieces of sashimi, 20 pieces of nigri sushi, and 46 pieces of maki sushi. 56 pieces of sashimi, 28 pieces of nigri sushi, and 64 pieces of maki sushi. Japanese rice bowl with sweet and savory ground meat and scrambled egg. Assorted vegetable with 2 pieces shrimp tempura on a bed of rice. Pan fried rice with vegetable, chicken, beef or seafood. Mixed chicken with onion, mushroom and egg on a bed of rice. Mixed beef with onion, musroom & egg on a bed of rice. Mixed deep fried pork with onion, mushroom & egg on a bed of rice. Mixed curry chicken with onion, mushroom & egg on a bed of rice. Mixed deep fried chicken with onion, mushroom & egg on a bed of rice. Barbecued eel on a bed of rice. Udon is a type of thick wheat flour noodle of Japanese cuisine. 2 pieces of shrimp and assorted vegetable tempura. Pan fried noodle, mixed vegetable with chicken or beef & seafood. 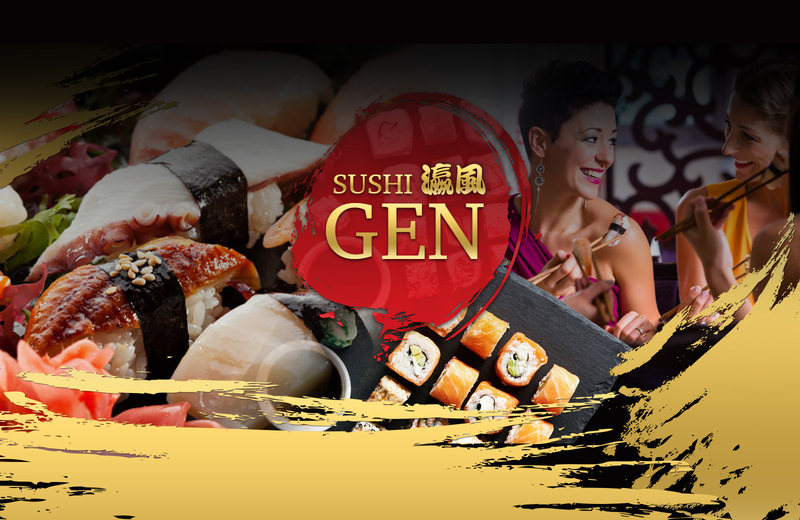 Try our best sushi bar such as Lover Special, Black Dragon etc. Comes with 6 pieces. 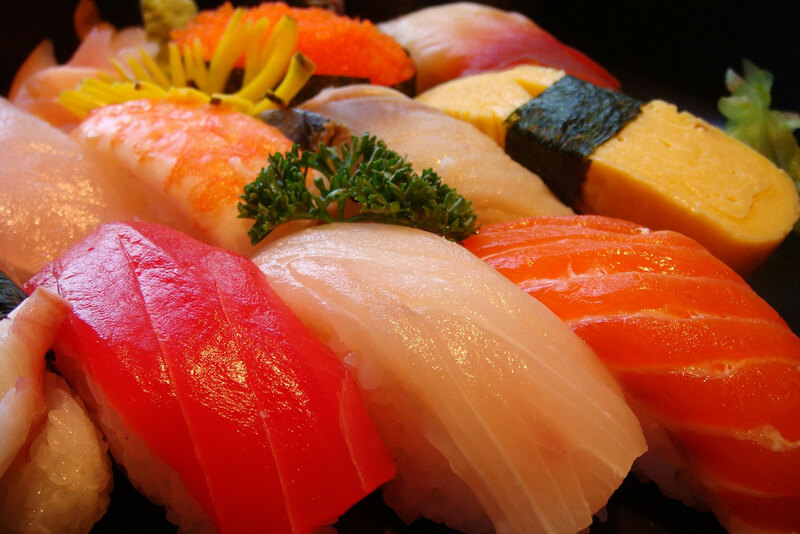 Vegetable, Salmon, Spicy Salmon, Tuna, Unagi, Crab or California. More spicy $0.50. Eel, avocado, cucumber, salmon skin and tobiko with eel sauce. Cucumber, avocado and tobiko with shrimp tempura topped with salmon. Cucumber, avocado with shrimp tempura topped with avocado. 8 pieces of cucumber, avocado with shrimp tempura topped with avocado and unagi. Crab, cucumber, avaocado, tobiko, tuna, salmon and white fish. Salmon wrapped around tobiko, avocado and kapp. Cucumber wrapped around tobiko, surf clam, crab and acocado. Crab, avocado, tempura bits, and mayo topped with cucumber, mix kani and tobiko. Rice paper, salmon, crab, surf clam, avocado, tempra bits, eel sauce with spicy sauce & mayo. Salmon skin, tempura bits, topped with tobiko spicy sauce. Tuna, salmon, crab, clam shrimp and tai. 2 pieces of tuna, 2 pieces salmon, 2 pieces tai, clam & octopus. Combination 15 pieces of sushi and 15 pieces sashimi, 2 soups and 2 salads. Comes with miso soup and house salad. Shrimp tempura or shrimp buttyaki, 12 pieces assorted sushi, served with miso soup and house salad. Choice of chicken, beef or salmon teriyaki. A delicious bento holds rice, and your choice of meat, with cooked vegetables. Vegetable tempura, deep fried tofu, steamed rice, 3 pieces of salmon and 3 pieces of cucumber. 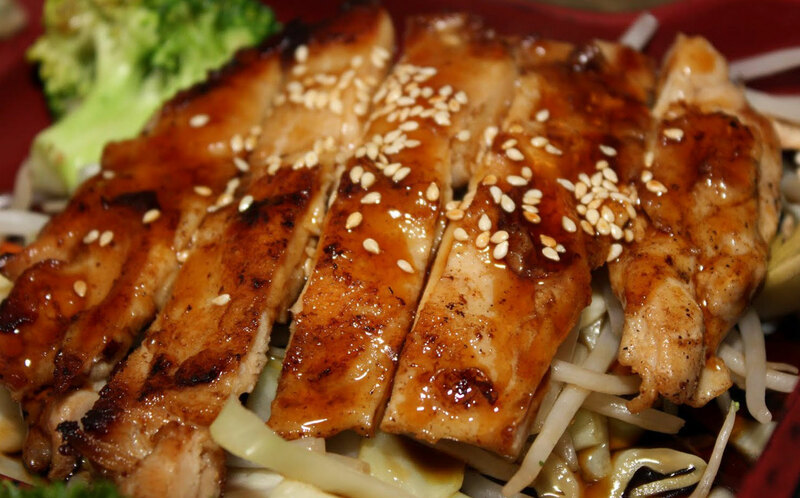 Choice of chicken teriyaki or mushroom with mixed vegetable. Includes miso soup & salad. 1 piece of shrimp, 1 piece of crab, 3 pieces of vegetable tempura, 2 pieces of spring roll, 3 dumplings, steamed rice, 3 pieces of salmon, and 3 pieces of cucumber. Choice of chicken, beef, salmon or tonkats. Includes miso soup & salad. 2 pieces of shrimp, 3 pieces of vegetable tempura, 2 pieces of spring rolls, 3 pieces of salmon sashimi, steamed rice, 3 pieces of salmon, and 3 pieces of cucumber. Choice of chicken beef, salmon or tonkats. Includes miso soup & salad. Includes miso soup, salad, rice & mixed vegetables. AAA New York strip loin. 5 pieces shrimp tempura and assorted vegetable tempura. A method of Japanese cooking in which sliced salmon is grilled, pan-fried, roasted or broiled in a special sauce made from soy sauce, sugar, mirin (sweet Japanese rice wine) and sake (rice wine). Pad thai sauce, bean sprout & egg. Choice of beef, chicken or shrimp. 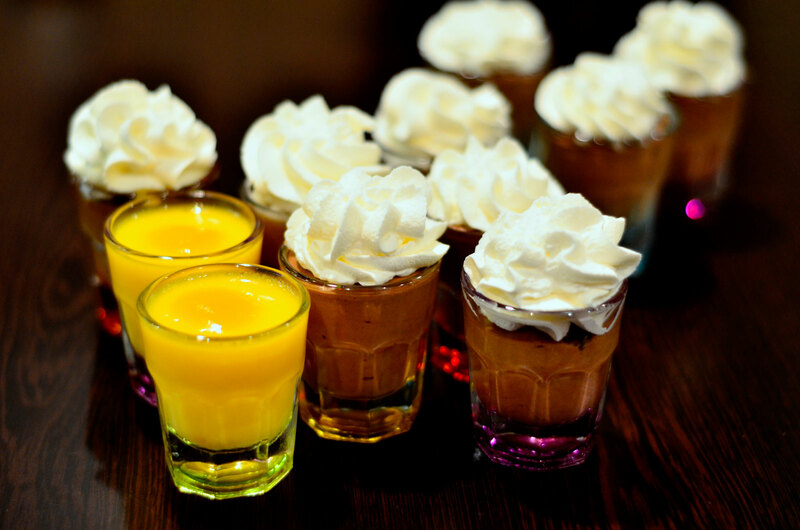 Add drinks to complement your meal. Your choice of flavor. Orange/Apple. Your choice of different drinks. Iced Tea/Coke/Diet Coke/Sprite/Orange Crush/Root Beer. Our amazing Japanese style dessert. Banana dipped in tempura batter and deep-fried. Served with ice cream. A sweet dish consisting of one or more layers.